Amendments can be made to Kentucky birth certificates when the father's name must be added, removed or changed. Amendment requests must be made through the State Registrar of Vital Statistics. Only the biological parent or legal guardian may request an amendment for a minor child. Adults can complete the amendment requests for their personal birth certificates. If the amendment is required because of a misspelling, a registrar office employee can make the request to correct it. Visit the Registrar of Vital Statistics to receive the appropriate form or forms that you need to complete the birth certificate amendment. If you live too far away, you can call the office at 502-564-4212 to have the appropriate document mailed to you. The office is in Frankfort and is open Monday through Friday from 8 a.m. to 4:30 p.m. Ask the representative at the Office of Vital Statistics which form is most appropriate based on your situation. Also ask if both parents must complete the form--in some cases this is required. If no father is listed on the birth certificate the Declaration of Paternity form VS-8 must be completed. Obtain a court order if the father's name has already been changed once. Additional changes require a court order before the amendment can be made. 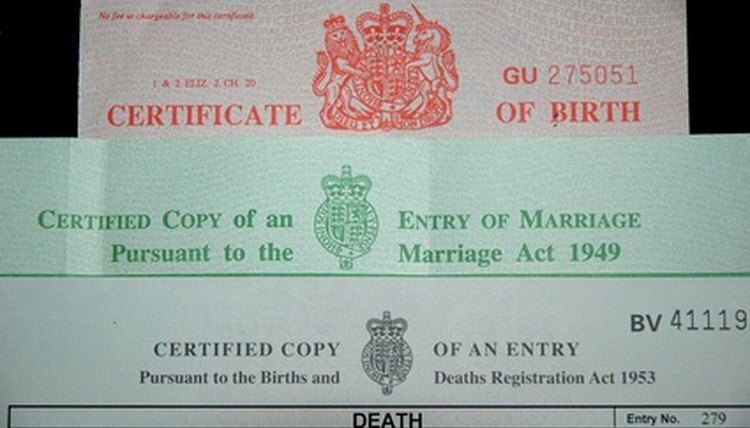 A court order is also required if the father is deceased. Mail or drop off your completed form or forms along with a copy of a court order (if necessary). The forms must be submitted to the Office of Vital Records. Be sure to include a copy of your state issued ID if mailing in your request. Claire, Maeri. "How to Amend the Father's Name on a Birth Certificate in Kentucky." , https://legalbeagle.com/6596037-amend-name-birth-certificate-kentucky.html. Accessed 21 April 2019.